Southern Cross is a Workamper employer who hires ‘mobile leak survey technicians’ that they kindly refer to as ‘travelers’ whose main job responsibility is to inspect gas lines to make sure they are working properly and then report the findings. Natural gas lines have to be inspected regularly, that means every 5 years in most cases, but also every year for hospitals, schools, and business areas. As you can imagine, there is no shortage of work when it comes to identifying and ultimately preventing catastrophic situations. Most of the time the gas lines are said to be working as they should, but in the event where an issue is detected, your findings would be reported to the utility provider. One assignment might have you assigned to a busy commercial district inside a metro area while the next would take you deep into a rural community where daily interaction with farm animals would not be uncommon. Talk about variety… RVers who are always up for new adventures and don’t mind less than adventurous jobs to get them there will do just great in these positions. 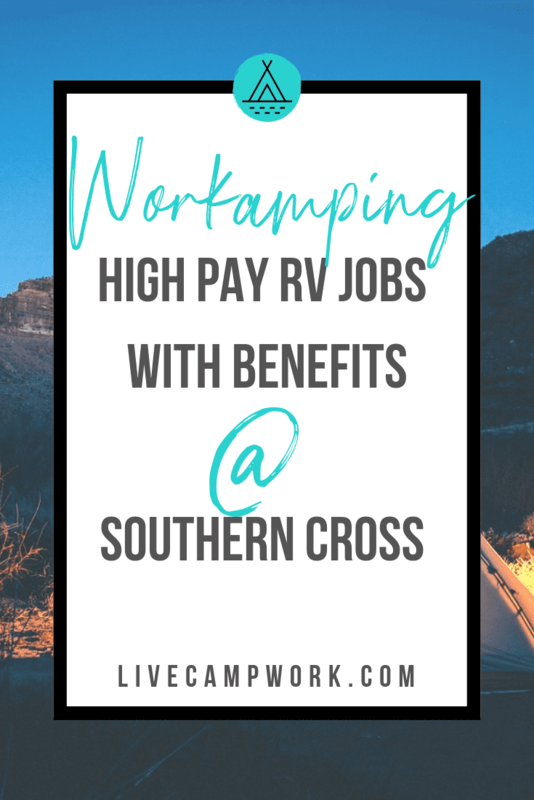 A position with Southern Cross is not your typical Workamping job where you are on assignment for a specific amount of time then move on to another employer. In fact, it could be considered a mix of the best of both worlds since you work for one employer while traveling to new destinations with each new assignment. Both singles and couples are welcome to apply, but the one stipulation you should be aware of is that each person is treated as an individual employee. While couples would be placed on the same projects, transportation to work might get tricky trying to coordinate jobs in and around different areas. Since they offer year-round employment, an RVer looking for a more permanent or reliable position without the need to line up gigs as they go, but still enjoy traveling to new cities both large and small might see this type of employment offer as a viable choice. At Southern Cross you would be given one job assignment at a time, for a specific amount of time, then move on to your next assignment in a new location without gaps in employment or benefits. Each project is different. Some last from just a few weeks in small towns or rural areas, while others might extend for months in larger metropolitan areas. Assignments are said to never exceed 11 months. To my understanding, you would know up front what the time on each assignment would be as you are scheduled. They also make an effort to try to schedule travelers to an assignment for at least a month, so that you can negotiate a lower rental rate with the local campgrounds, which is an extra effort in my opinion to accommodate RVers and just a kind gesture on behalf of the employer. Working for Southern Cross means working the hours of their clients on each project. That usually means 7am-3:30 pm. In a perfect world, you would leave your RV campground in the morning and arrive at your assigned location at the designated time. Working at your own pace, you would walk over the buried gas lines (which are either under the sidewalks or slightly to the side) using your handheld instrument to ‘sniff’ the area for methane and check gas meters. Entering yards is typical to access the gas meters, which might require you to contact the homeowner to gain access if blocked or enclosed. Navigating according to the provided map, your day would continue until your day is complete and you return to your RV for the night. Personally, I think Southern Cross has one of the best compensation packages for Workampers. They hire employees, not independent contractors which means each traveler will have applicable taxes withheld from their hourly wages and they also offer benefits including health insurance, paid time off, paid holidays and 401K enrollment, which are hard to find from Workamping employers. As if that wasn’t enough, they also provide some really great perks for their employees which include covering some common living and travel related expenses, including mileage reimbursement and a per diem which are both not taxed. Starting hourly rate of $11.00/hr. Daily vehicle mileage is reimbursed at the IRS rate. RV reassignment mileage is reimbursed (when moving the RV from one project to the next). This reimbursement rate is .25 cents above the current IRS rate. End of project bonuses are occasionally provided but should not be factored into anticipated earnings. Survey technicians work outdoors in all weather conditions. They must be physically fit and able to walk 6-8 miles per day on varied terrain 8 hours per day, 5 days per week. Also requires the ability to be able to repeatedly lift their arms over their heads. Our first priority is the safety of our team, so we promote a culture of taking our time and staying safe. A large portion of the job is actually documenting our work on I-Pads, Android tablets, and PC based laptops. Therefore, the ability to interact with technology is required. Map reading skills are a plus. Each technician must have viable transportation. This could be the tow vehicle (pick-up) or small car towed behind a motorhome. 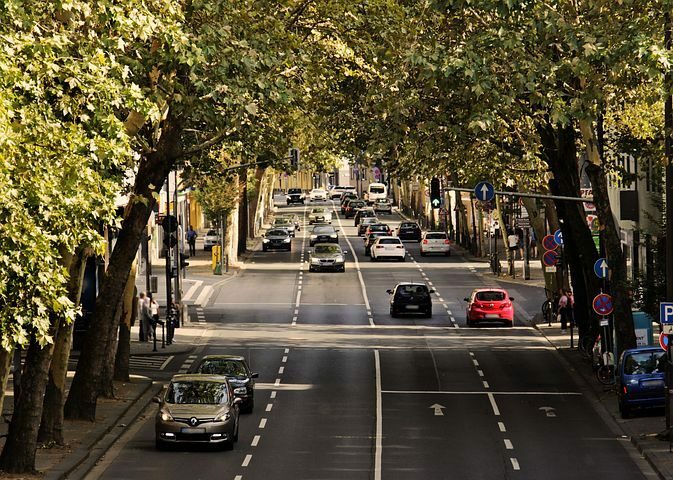 Every technician must have a valid driver’s license and vehicle insurance. Travelers must find and secure their own RV park.